Mark your calendars: Season 10 of FX's Feud may center on Glee stars Lea Michele and Naya Rivera. 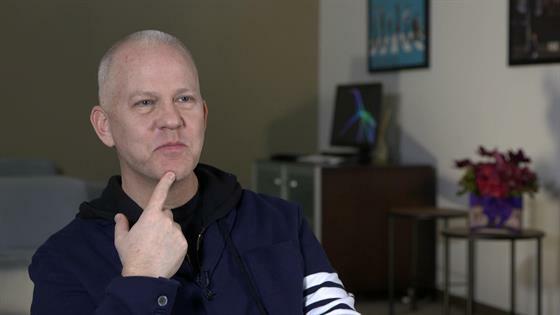 At least, that's what co-creator Ryan Murphy joked to E! News while sitting down for an exclusive interview about his latest soon-to-be smash hit anthology series, premiering March 5. In case you missed it, rumors ran rampant in the later seasons of Glee that there was a deep and fiery divide between Lea and Naya—which Naya addressed in her book. "I feel like in the case of that show [Glee], that show was just a s--tstorm of difficulty, largely because, what do you do when you're 18 years old or 19 years old and you wake up one day and you're world famous? I think a lot of that was informed by their youth and being involved in a phenomenon. And I know for a fact that they [Lea and Naya] admired each other's work, ‘cause I directed them both in scenes. I don't think I would take on Lea and Naya. I think for a feud to work on this show, it has to have decades of pain behind it. But if they're still feuding at 40, I might consider it. I'll call them up in a couple years." Then he dropped this little unknown fact: "There were many boys on our show that didn't get along. And you never hear about that. You never hear about that in our culture." Well, consider this the first printing (#equality?). Murphy didn't name any names, but did mention that the male Glee feuds were plentiful, and also said he also hopes to bring the Glee cast back together someday for some kind of TV reunion. Feud: Bette and Joan is the most anticipated new series of the year and for good reason. Not only is it the latest anthology gem from Murphy, who most recently brought you The People v. O.J. Simpson: American Crime Story and American Horror Story, but it's clearly impeccably cast with Susan Sarandon and Jessica Lange, and is surprisingly relevant, even five decades later. The eight-episode miniseries digs deep into the bias against women in Hollywood, particularly over the age of 40, and why the press and public seem so incessantly fascinated by two women tearing each other apart. "We're talking about very modern themes looking back at a historic event," Murphy explains. "We kind of did that with [The People v.] O.J. [Simpson]. I was never really interested in O.J. I was never really interested in the murder. I was interested in sexism and racism with Marcia [Clark] and also with O.J. happening two years after the L.A. riots. And Feud is the same thing. Feud is looking back at this fabled, bitchy fight but what you realize is there was literally 50 years of pain going into it." See more of what Murphy has to say about Feud and Glee in the video above, and on E! News tonight at 7 and 11 pm. Feud premieres March 5 on FX.